This article has been cross-posted on the Iowa Cold Cases blog. Five years ago today, my family received news no family ever expects to hear. We were fortunate, however, in that we received a gift few families get to experience when crime comes knocking on one’s door; we each got the opportunity to see and speak to our loved one — and him to us — one last time in conversation not focused on any final goodbye, but words of hope, love, and the promise of many more tomorrows. Those tomorrows lasted just four more days before my stepfather, Earl Thelander, succumbed to burns sustained in a home explosion brought about by copper thieves. 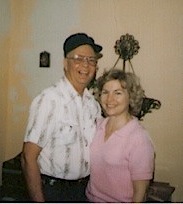 He died September 1, 2007, four months shy of his and my mother’s 25th wedding anniversary. Mom and Earl had been out the night before working on the rural home they were preparing for a renter — the same country home where my maternal grandparents used to live — and the late-night or early-morning burglars who cut and stole propane gas lines and let the home fill with gas have yet to be apprehended or charged in the crime. My stepdad’s case remains unsolved. Earl and Mom early on, fixing up a rental property. 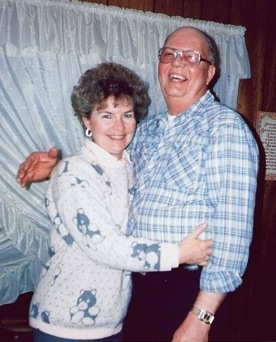 Two months after his death, my mom, Hope Thelander, wrote about what she missed most about her husband and best friend; with permission, I’d posted her story to my blog. Read the blog post here. I miss the way he always looked at my mom. I miss how he’d always throw back his head in hearty laughter. I miss the way he so carefully pushed up his glasses, his fingers wrapped around the outer edges, when deep in thought. 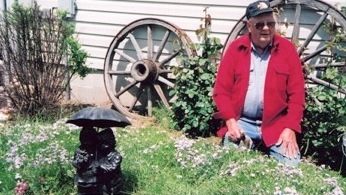 I miss watching him carefully tend to his tomato plants and point out those he had marked for BLTs. I miss watching his face when speaking on the phone to one of his kids. Earl getting ready to plant tomatoes. I miss witnessing his meticulous attention to detail whenever he went about fixing something … anything … he made sure things got done right the first time. I miss hearing the way he’d begin a sentence with “If a guy were to . . .” because he never stopped considering new ways to approach a task at hand. 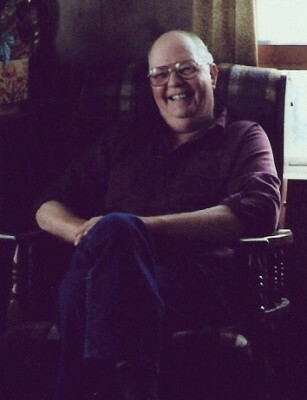 I miss seeing him sitting in his favorite chair at the kitchen table, sipping coffee from his favorite blue mug. I miss his silent disapproval and how he’d slowly look down into his lap whenever he heard someone make a judgmental comment about another. I miss him at family birthday parties, at family barbecues. I miss seeing him in his favorite pink oxford shirt that always made him look so handsome. I miss seeing him behind the wheel in his maroon and silver Dodge pick-up truck. Earl enjoys a day at my grandparents’ farm outside Onawa, Iowa.